There’s a bit more to coloured contact lenses than you might think. Yes, they are lenses that can enhance or alter your eye colour but did you know that there are three different types of tint now available? You can get lenses with visibility tints, enhancement tints, and opaque colour tints. Visibility tints feature a light blue or green pigment that makes handling, application and removal easy. This kind of coloured lens is very subtle; you won’t see a huge change in eye colour. Enhancement tints are opaque and come in lighter hues. These work best for those with lighter eyes and work by intensifying the existing colour, not changing it. Opaque colour tints are for those who want a dramatic change in eye colour. They feature a solid, patterned block of colour that completely obscures the iris. There are some stunning colours and shades available, including: turquoise, honey, hazel, violet and gemstone green to name but a few. Coloured contact lenses have come a long way since they were first introduced for sale to the general public in the 1980s. Once upon a time, the colours were crude and obviously fake. Now, they’re far more naturally because manufacturers are blending from a palette of colours. 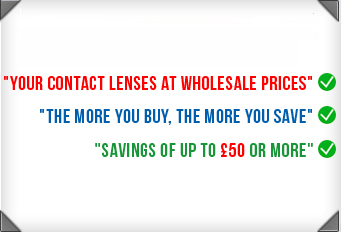 Coloured contact lenses are available with or without prescription. Generally, they tend to come in powers from -8.00D to 6.00D, although this varies according to manufacturer and product. If you want to change the colour of your eyes but don’t have any vision problems, go for a plano (0.00) prescription. Choose between monthly and daily disposables. The latter are fast becoming popular.